Music for Wellbeing is a Bristol-based music therapy project. In this post they explain how our workshops can support the Five Ways to Wellbeing. Music for Wellbeing was born out of our experiences as music therapists. In summer 2016 we qualified as music therapists and had seen how being involved in musical experiences could affect people’s mood and bring people together. 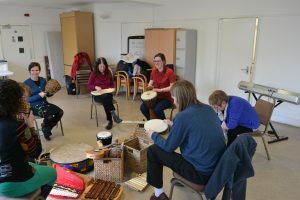 We were keen to start a project that made these experiences more accessible to the general public, rather than just people involved in music therapy. Since then we have offered workshops in our community and care homes and are developing work with students and businesses around the Bristol area. 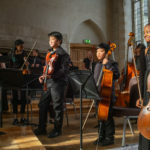 We believe that music is a wonderful medium for play, connection with others, expression and creativity and that each and every one of us can respond to and engage in a musical experience. In our workshops we have a wide range of multi-cultural musical instruments and there will be opportunities to explore these together and make music. 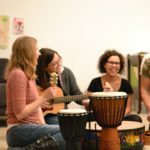 Music can be a powerful way of communicating without the need to use words, and through musical play a group can feel connected and in sync. Participants have found that this can not only be a chance to connect with others as a group, but to also connect with the creative aspects of themselves. Workshops often feature body percussion, as a fun way to get moving and use our bodies to make music. Rhythm is a key element in music that can quickly bring people together with a shared pulse. Using your body to make rhythms is a great way to get people engaged and fully immersed in the experience. We also use a lot of drums and percussion, the physicality of which people respond to, releasing energy and stress. In our busy lives it’s hard to find time to stop and take notice. In our workshops we provide a space to focus on the present moment, both connecting with others and with yourself. 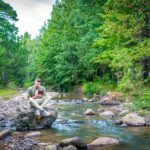 For example, workshops include listening to music with mindfulness exercises or art activities as a way to take notice and be fully present on what we are doing. Throughout the workshops we run, participants are invited to reflect and discuss their experiences. 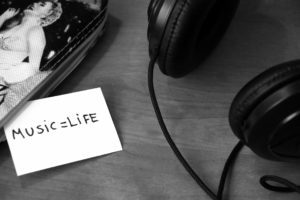 This has often led to interesting conversations around the use of music in day-to-day life. This sharing allows the group to learn from different perspectives as music is experienced uniquely by different people. Whilst no musical skills are required and the focus of our workshops is not to teach musical skills, there is an opportunity to try out new and unusual instruments. In our culture, it is often thought that music can only be played by musicians, but we believe everyone can make sounds and music together. Also, people familiar with music have commented that this is an opportunity to play music in a free and creative way, with no pressure around performing well or producing a certain result – our workshops are about playing, rather than about product. As a group experience, we value the contributions from everyone in the group and encourage people to share their thoughts and ideas. Although we come with suggestions for activities, we are free to respond to feedback during the session, to make the workshop as relevant as possible for everyone involved. 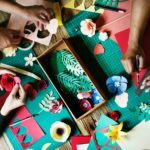 Group activities allow people to show generosity towards others, and we also think it’s important to give time to one’s self and invest in creative experiences that can help you grow. Due to current recognition of the importance of wellbeing in the workplace, Music for Wellbeing are currently focused on offering corporate workshops. Please feel free to get in touch if you would to know more, via Music for Wellbeing on Facebook and Twitter or via email: kimrobertsmusictherapy@gmail.com and juditsolermusic@gmail.com.